Just a couple more weeks until we dive into the next promising year for Morning Wood Records. But before we do so I’d like to give some discount on the complete inventory! 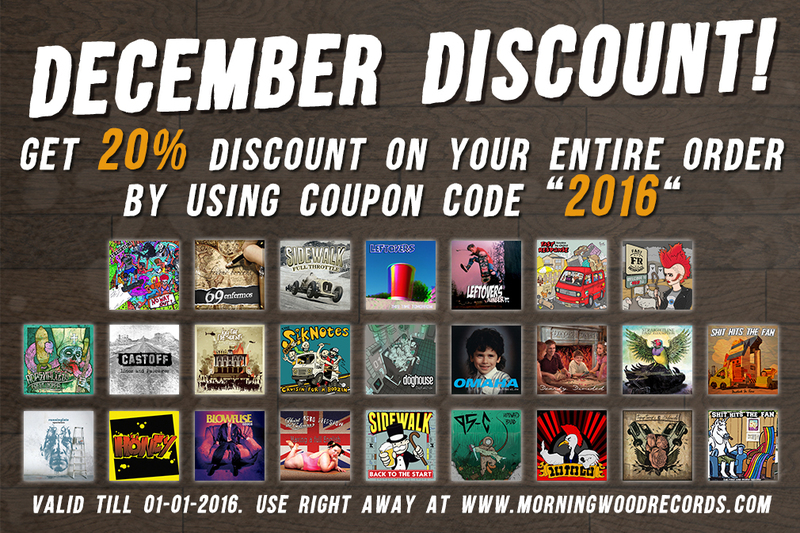 Use coupon code “2016” to redeem 20% discount on all products you order at the store. Happy holidays!